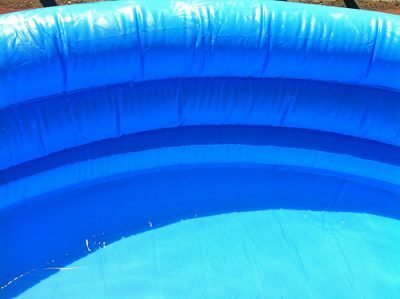 Although the initial expense of an inflatable pool is significantly less than the initial cost of a fiberglass pool, you may actually end up spending more time caring for the inflatable pool in the long run. Inflatable pools are cost-effective in areas such as installation, and less swimmers which means less water, chemicals etc., are needed. What you have to factor in when making the decision is how valuable your time is, and is it worth putting the extra work into the pool for the enjoyment you will get out of it. First let’s back up and explain why inflatable pools can be difficult to maintain. Essentially it boils down to two reasons: inadequate filtration and the fact you cannot properly vacuum an inflatable pool. Inadequate filtration is due to the fact that Inflatable pools are not fitted with the proper size pump and filter system. In almost every case, this system comes undersized. As a result algae and dirty water infiltrate the pool in the warm summer months, since treating your pool with chemicals will not be enough to combat the dirt and debris. Another issue is that you cannot vacuum your inflatable pool properly to combat these factors. Since inflatable pools are not equipped with the proper pump and filter system to vacuum your pool, you will have to attach a pressure cleaner to your garden hose and hope it blows debris off. Often this ends up being a losing battle, since the blown debris has nowhere to go but settle to the surfaces of the inflatable pool. Each swimming pool owner has their own criteria for owning a swimming pool; but when you’re forking out the initial costs for an inflatable swimming pool, it may be worth considering what your time is worth, do you have the time to clean the pool, and whether it is worth it. If you find your time is of value and you want the benefits of a swimming pool without the intensive cleaning required, fiberglass pools provide a naturally algae free environment. This is due to the non-porous surface; meaning algae cannot latch in order to grow. Since fiberglass pools provide a non-porous surface, you will use less chemicals, and less time brushing the surfaces. If you live by the phrase “time is money”, this factor is invaluable. 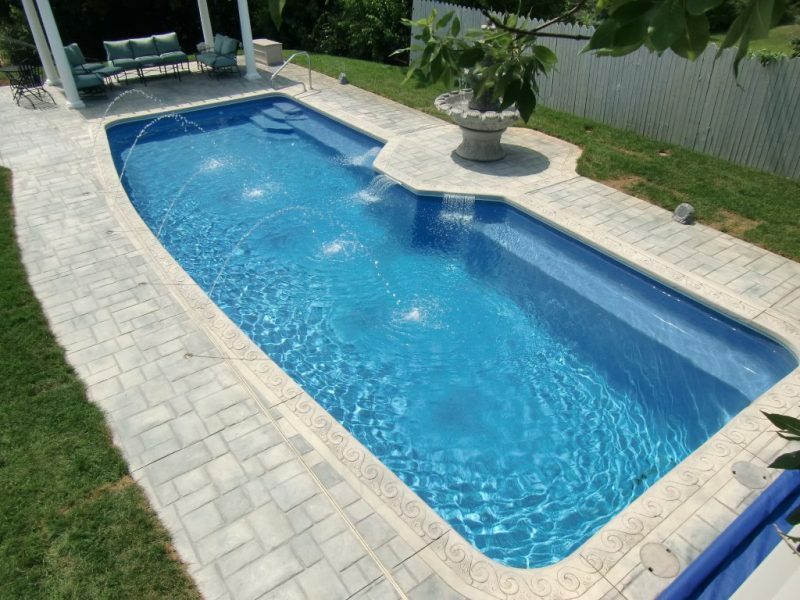 Instead of an undersized system that is unable to handle dirt and debris, thus causing dirty water and surface grime, fiberglass pools are equipped with the proper pump and filtration system. This means that your water will be clear longer between filter changes. That’s right, you don’t have to change the filter everyday! Cleaning a fiberglass pool is easy, since your swimming pool is now equipped with the correct size system. There are lots of choices available when choosing a cleaner for your pool. 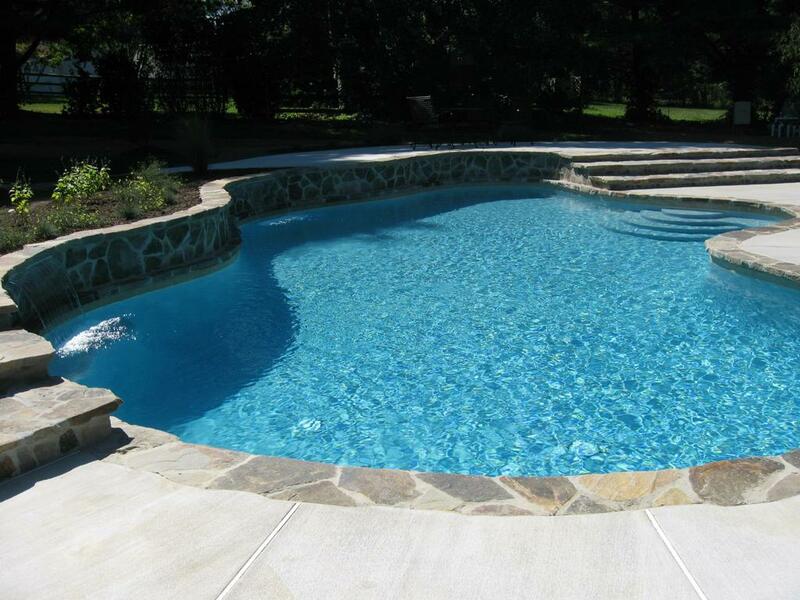 Overall, there is no question that a fiberglass pool is the way to go. If you find yourself longing for all the benefits of a cost-friendly swimming solution, contact Elitepools.ca today!